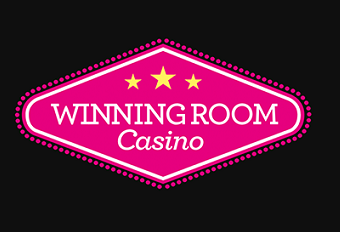 Welcome to our WinningRoom Casino Review, where we explain in detail our WinningRoom Ratings 2018. This is a relatively new gambling site run by Evoke Gaming Ltd – though in fact you could argue they are a rebrand of Vinnarum – which has been in operation for a good few years. So, don’t be fooled by the relative youth of WinningRoom to the sector. Furthermore, Evoke Gaming Ltd are responsible for RedBet. Therefore, we can feel assured that the WinningRoom Casino comes from a solid stable. In December, Evoke Gaming Ltd was purchased by Mr. Green – an even more established name in the world of betting. In short, even though it is new, it is completely trustworthy. If you needed more evidence that this site is a casino to trust with your funds and your fun, then you should feel reassured that they are licensed by both the Malta Gambling Commission and the United Kingdom Gambling Commission. This dual licensing means there are a lot of restricted countries, as you would imagine, but it means they abide by stringent regulation. If we judge the site, in our WinningRoom casino review, by the ease of use of the website, then the user experience is excellent, and they deserve high WinningRoom ratings 2018. However, we should also consider the cashier on the site and the experience with the customer service team. With rising popularity, the responsiveness of the customer service team has slowed considerably. This is obviously a sign of some growing pains, though the levels of responsiveness are still good. The quality of the experience for the customer is probably better assessed in this WinningRoom Casino Review through the lack of complaints against the site. Maybe they are right to focus the attention on the structure of the site, the speed of pay outs and the quality of the games. For the serious gambler, the good news is that there are no weekly withdrawal limits. There are decent pay out times and a lot of ways to deposit to the site. Therefore, in everything matters the site does well – so deserves the highest rating in the WinningRoom ratings 2018 for experience. Although not all the site is viewable on a mobile device, there are a good few hundred games to choose from, designed to work well on your phone or your tablet. This responsive mobile experience is better than most, though the lack of a dedicated app puts it at a disadvantage with some of the bigger names in the UK and Ireland gambling market. The site is new, so we have given the site credit for the effort to bring a mobile experience in our WinningRoom Ratings 2018. There are reviewers who consider the WinningRoom website to be the prettier sister to the monster RedBet. There is an attractive black, pink and blue colour pallet, which if anything makes it a gentler experience than its sister site. It is likely a nod to a different demographic of gambler and an expression of the broadening appeal of online gambling. We give the designers a thumbs up in this WinningRoom casino review, this shows a good degree of common sense in today’s crowded betting market. So, if you are going to offer a lot of games, about 600 to be clear, then you had better make them quality, so you choose NetEnt and Microgaming – and this is exactly what this casino has done – a real plus for us in our WinningRoom Casino Review. They also take games from NetGen Gaming, Play ‘n Go, Elk Studios, QuickSpin and more. The site’s live gaming is provided by NetEnt Live. The site is mostly slots, there are 536, but this is pretty standard. You can also get a good experiences of video poker, roulette and blackjack. There are 40 live games on the site, which is an excellent selection. WinningRoom ratings 2018 for variety have to be high, considering this emphasis on choice. Plus, the choice of software developers prompted us to make the WinningRoom ratings 2018 for quality pretty decent too! The welcome bonus to WinningRoom is decent. They offer 100% matched bonus up to £100. The minimum deposit is £20 and there is a 35x playthrough on bonuses that are 100% matched. There is a long list of excluded games on the site, where you cannot use this bonus. Also, when spinning the slots, you can only use a maximum of £2 of your bonus bet per spin. This is a downside, and something that impacted on our WinningRoom ratings 2018. However, the bonus money will only be used when there is no real money in your account. This means if you win from your own funds there are no playthrough requirements on the money bet. This means that you only use the bonus when you are playing for free on the site. The site also runs seasonal promotions, so it is worth return trips to the promotions page. However, there is no loyalty programme and the number of promotions overall isn’t as generous as you would find elsewhere. This is one of the more disappointing aspects of play on this site. Overall, our WinningRoom Casino Review conclusion is that the site is doing great in all the right ways. The games and function of the site are great, and the limited number of negative comments in reviews is a plus. This means our WinningRoom ratings 2018 should be largely positive. The one disappointing area is in promotions, and we genuinely think the site needs to work a little harder to retain the loyalty of the customer in a competitive field.